Apologetics Press - What Do the Finches Prove? What Do the Finches Prove? Coming to terms in a discussion means that each party understands what the other means when a certain word or term is used. Any discussion in which terms are not agreed upon can quickly turn into a quagmire of misunderstanding and confusion. For instance, the assertion is made: Evolution has occurred on Earth. The most important aspect of the assertion centers on what is meant by the term “evolution.” If, by evolution, one means that living organisms have the genetic ability to alter their appearance in minor ways over a period of time, such an assertion would be accepted by both creationists and evolutionists. If, however, the term “evolution” is defined to mean organisms can genetically mutate into other kinds of organisms over millions of years, gradually changing from simple organisms like amoebas into complex organisms like humans, then the majority of creationists would certainly disagree with such an assertion. Understanding this situation becomes increasingly important when reading literature produced by those in the scientific community. 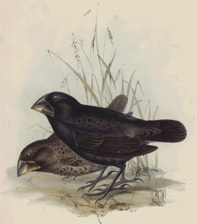 In the July 14 issue of Science, Peter and Rosemary Grant presented a paper titled “Evolution of Character Displacement in Darwin’s Finches.” The thesis of the article is that one particular species of finch (Geospiza fortis) “evolved” a slightly smaller beak due to the arrival of a larger-beaked finch (G. magnirostris) competing for larger seeds of the Tribulus cistoides plant during a severe drought (Grant and Grant, 2006). Schmid interviewed Robert Fleischer, a scientist who works with the Smithsonian’s National Museum of Natural History, who stated that the Grants merely had documented an instance of “microevolution” (small changes within the same kind of organism). Yet, the titles of the articles by both Schmid and the Grants misleadingly imply that Darwinian evolution has been proven by the finch research, and Schmid goes so far as to make this bold claim in his introductory paragraph. What do the finches really prove? They prove that finches stay finches, and the only documented kind of “evolution” is that of small changes within the same kind of organism. 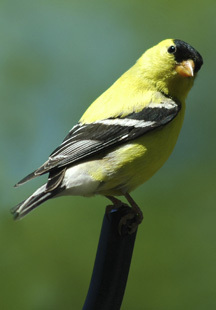 The Grants have been studying the finches for 33 years, and this change in beak size, which amounted to about .6 millimeters in beak length and .8 millimeters in beak depth (“Study: Darwin’s...”), was “the strongest evolutionary change seen in the 33 years of the study” (Grant and Grant, 2006). Even more ironic is the fact that this “evolutionary” change to a smaller beak that allegedly helped the finches to survive might not be so helpful after all. In the same article for Science, the Grants alluded to research done in 1977 when a drought struck the same island and killed many of the finches. The Grants noted: “Most finches died that year, and mortality was heaviest among those with small beaks” (2006, emp. added). Thus, if G. fortis keeps “evolving” a smaller beak size, a major drought in the future could easily spell its demise. Scientific observation has never produced a single shred of evidence that proves even the possibility of “huge genetic changes turning one kind of animal into another.” In fact, all the observable evidence proves that every living organism multiplies “according to its kind” exactly as stated in Genesis 1:24, small changes in beak size, body weight, or skin color notwithstanding. Grant, Peter and Rosemary Grant (2006), “Evolution of Character Displacement in Darwin’s Finches,” Science, 313:224-226, July 14, [On-line], URL: http:// www.sciencemag.org/cgi/content/full/313/5784/224. 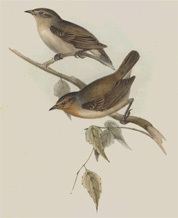 Schmid, Randolph (2006), “Finches on Galapagos Islands Evolving,” [On-line], URL: http://news.yahoo.com/s/ap/20060713/ap_on_sc/darwin_evolution;_ylt= AtMK7RaDjqo_NxNgdj2Hih.s0NUE;_ylu=X3oDMTA3MzV0MTdmBH NlYwM3NTM-. “Study: Darwin’s Finches Rapidly Evolving” (2006), [On-line], URL: http://www.macnews world.com/story/dP6qz1wCRQQfO4/Study-Darwins-Finches-Rapidly-Evolving. xhtml.What do the finches prove?